Call me basic or whatever, but I LOVE funny pool floats. In fact, I have a bright pink donut sitting in my cupboard right now, waiting for the summer sizzle to make its grand debut. Giant pool floaties are my ultimate guilty pleasure (and one of the few Instagram trends I will happily tolerate). With summer (and beautiful summer travels) just around the corner, I thought it was just the right time to scroll the interwebs in search of the best and most ridiculous pool floats I can find. 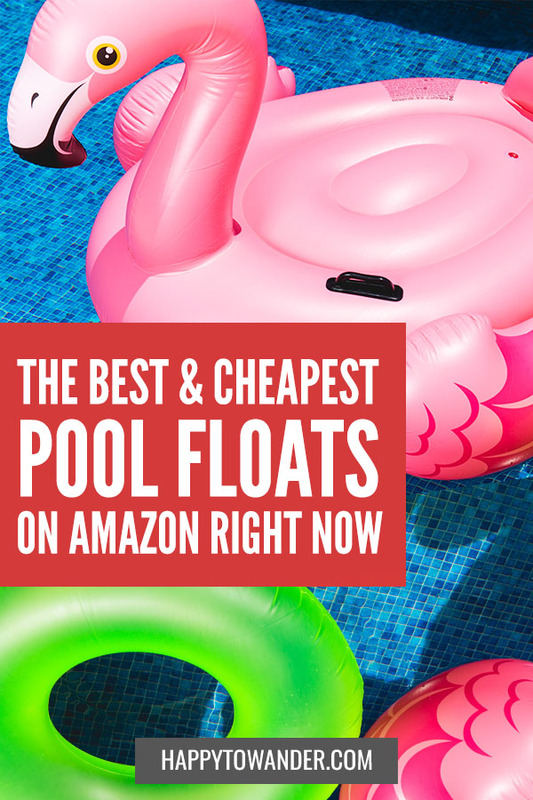 Here’s a roundup of the best funny pool floats on Amazon that you can get for less than fifty bucks. They might be a bit tough to squeeze into your suitcase, but hey, I believe in you. Enjoy! This post is part of my Friday Roundup, where I dish out weekly on my favourite quirky online products and finds. You can stalk the rest of the posts here. Want to travel smarter and more often? RANDOM NOTE: Before you buy any pool floats online, make sure you double check their size. There are loads of mini-floaties out there that you could accidentally order (made for holding your drink) that would be comically too-tiny for actual use. I recommend this floatie with a heavy dose of nostalgia because I once owned it, only to have it completely burst in the water after I tried to get four friends on it at once. I’m not smart… Anyways, this floatie is ridiculously cute and fun to lounge in (confirmed by personal experience). Now, if you excuse me, I’m gonna go cry over my loss. Click here to check reviews and prices. I honestly can’t remember what life was like before we had emojis to convey every thought and feeling. For my fellow lazy communicators, here’s an inflatable pool version of an emoji that captures that summer mood perfectly. Now, all we need is one for the poo emoji. Oh wait, just kidding – of course that one already exists. I know, unicorn floats are SO 2017…. but when you can snag such a cute one for less than 20 bucks, where can you go wrong…? How can you possibly resist the twirly moustache of Señor Taco Float? Only the coolest of kids would turn up at a party with this intergalactic beast of a pool float. If you’re feeling especially anti-social, why not load the original trilogy onto your phone, throw it in a waterproof case like this one and treat yo’self to an in-pool marathon? I genuinely got hungry just looking at this floatie. Do I maybe have an eating problem…? You can probably sense from all these food floaties that I’m super hungry, but nonetheless I am in LOVE with this adorable slice. Not only are there two built in cup holders so you can enjoy your ‘za with a cold one, but there’s also connecting points so that you can hook your float to another pizza slice, or get 8 friends together to create a whole pie. I know… it’s disgustingly cute. Gosh, this giant pool floatie is so extra, I just had to include it. If you want to lounge around in style while forcing some poor IG-husband to take drone pics of you, this would no doubt be the classiest, most Beyonce-esque way to do it. This six foot monster of a floatie might just be the bro-iest and most versatile addition to your pool floatie collection yet! Not only is it capable of housing a full-on intense game of Beer Pong in the water, you can also pop all the cups out and use it just like a regular floatie when you’re tired of being a total frat boy. QUIZ: Which European Winter Wonderland Should You Visit? As a millennial female, I’m obviously not immune to the wonders of a chilled rose-yay. Now I want nothing more than to sip a glass of my favourite pink wine while floating blissfully atop a bottle of pink wine. I seriously love this crazy blue octopus floatie. It’s ridiculous, absurd, obnoxious and wonderful. This might just be my next purchase…. Join over 80,000 followers who love what I have to say! 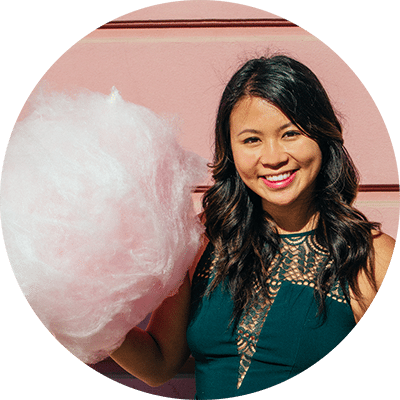 Enter your email here & you'll gain instant access to my special VIP zone, featuring freebies like checklists and printables... plus exclusive content, tips and updates!